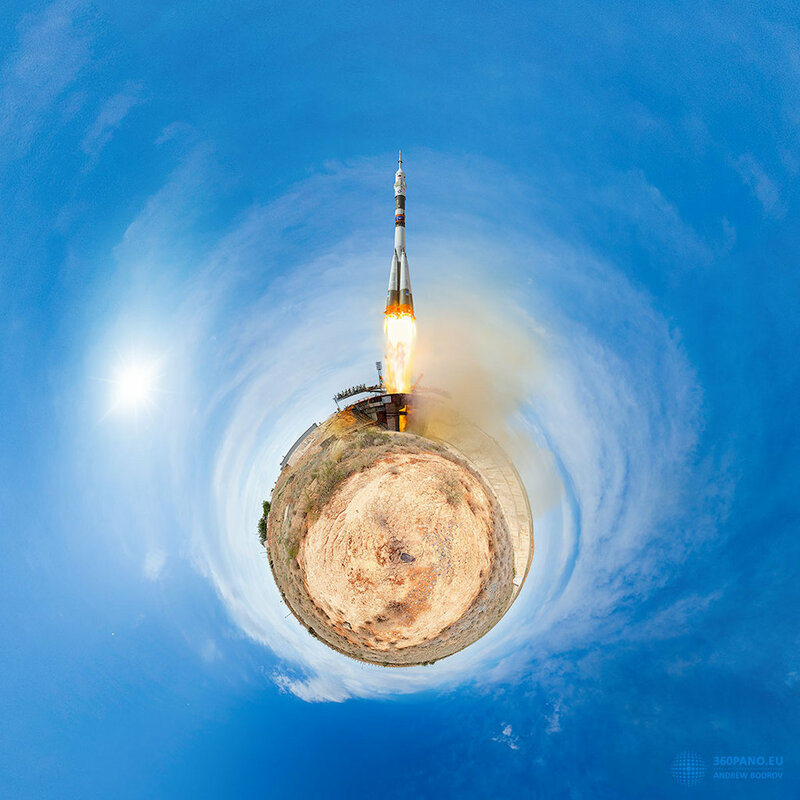 Engines blazing, a large rocket bids farewell to this little planet. Of course, the little planet is really planet Earth and the large rocket is a Soyuz-FG rocket. Launched from the Baikonur Cosmodrome in Kazakhstan on June 6 it carried a Soyuz MS-09 spacecraft into orbit. On board were International Space Station Expedition 56-57 crew members Sergey Prokopyev of Roscosmos, Serena Aunon-Chancellor of NASA and Alexander Gerst of ESA. Their spacecraft successfully docked with humanity’s orbiting outpost just two days later. The little planet projection is the digitally warped and stitched mosaic of images covering 360 by 180 degrees, captured during the 2018 Star Trek car expedition. Posted on Friday, 15 June 2018 by VGC	This entry was posted in ifttt-photograph and tagged IFTTT, NASA. Bookmark the permalink.